With state tournaments underway and regionals and nationals right around the corner, the youth hockey season in many ways is winding down. But that doesn’t mean programs around the country aren’t still geared up for the many tournaments they’re hosting over the next few months. The Wildcats are focused heavily on their upcoming Presidents’ Day and Memorial Day tournaments, two of the biggest events they put on each year. The Presidents’ Day Open will be held Feb. 12-15 and will be the largest tournament the Wildcats have ever run, with approximately 50 teams expected to compete. The tournament will be held at the Wildcats’ Riverside and Carlsbad rinks and will include teams from multiple levels: Mite tracks 1 and 2; Squirt B, BB and A; Pee Wee B, A and AA; Bantam B, A, AA and AAA; Midget 16U A, AA and AAA; and Midget 18U A, AA and AAA. Frank said the Presidents’ Day weekend tournament will bring in teams from Southern California, Northern California, Las Vegas, Arizona, Utah and parts of Canada. All of the Wildcats’ tournaments feature a four-game guarantee plus great prizes and awards for top teams and individual players. Once the Wildcats have the Presidents’ Day tournament in their rear-view mirror, they’ll begin focusing their attention heavily on their Memorial Day Showdown, a May 27-30 event at their Riverside and Carlsbad facilities. Divisions available include Mite, Squirt, Pee Wee competitive and elite, Bantam competitive and elite, and Midget/high school competitive and elite. 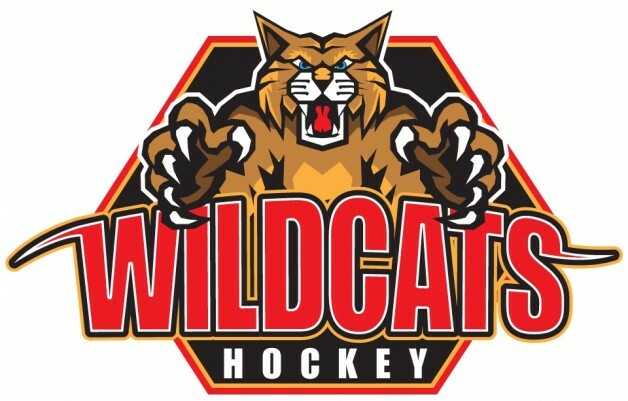 Teams can register at www.WildcatsHockey.com. The Wildcats held tournaments earlier this season around Labor Day, Thanksgiving and Christmas. The May event is the Wildcats’ second biggest each year and comes at a time on the calendar when players and teams have wound down from the grind of the regular season and are already looking ahead to tryouts and the season ahead. It is the only off-season tournament the Wildcats play, since their focus during the spring and summer months is on strength training, off-ice training and allowing kids to enjoy playing other sports. While the Wildcats’ entire staff – Frank, Tomas Kapusta, Paul Esdale, Pepper Pierman and the rest of their coaches – are responsible for the success of their tournaments, nobody plays a bigger role, Frank said, than tournament director Darlene Hird. Hird is the main contact for all tournament-related business, from registration to hotel bookings, securing officials and scheduling games. Much of her work is done in advance of the Wildcats’ tournaments, but that doesn’t mean she’s kicking back and relaxing once tournament weekends arrive.